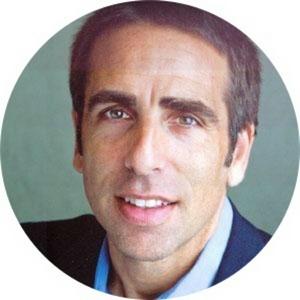 Bobby Schindler is President of the Terri Schiavo Life & Hope Network and Associate Scholar at the Charlotte Lozier Institute. Reflecting on Jahi McMath's life, death, and importance. #5 Isn't food and water basic? Why food and water should be understood as a basic and ordinary form of care, and not as a "medical treatment" that's always equivalent to extraordinary life support. Improving our culture starts with reconsidering our own attitudes, our own potentially oppressive biases, and embracing a more life-affirming attitude toward our most vulnerable brothers and sisters. The name “Terri Schiavo” became seared into America’s national memory, and into the history of both the “right to life” and “right to die” movements. But it’s now been more than a decade since her death, and many are now too young to remember her story. She was my sister, so let me share a bit of her story now. I attended the May 24, 2018 National Catholic Prayer Breakfast in Washington, DC. Sharing some of my thoughts and reactions on this event after my first time attending it. I’m President of the Terri Schiavo Life & Hope Network, which serves medically vulnerable persons at risk of a variety of denial of basic care situations. I’m also an associate scholar at the Charlotte Lozier Institute, where I write about bioethical issues, particularly on euthanasia, assisted suicide, denial of basic care, and rehabilitation’s role in stories of remarkable recovery. I’m doing this as a way to share thoughts and perspective in a casual, more accessible way— less formal than my writing or talks, but hopefully still meaningful and impactful in terms of reflecting on prominent cases of medically vulnerable persons, and reflections on the life issues of the day.